This is according to a recent announcement by Capcom in which they revealed that Resident Evil costumes will be coming to the game. 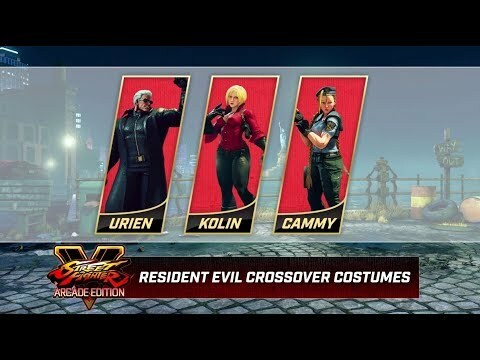 These costumes will be available for Urien, Cammy, and Kolin, where they will be able to change their looks to look more like Wesker, Jill, and Ada respectively. In addition to these Resident Evil costumes, Capcom has also decided to get into the festive spirit of things by announcing new Christmas themed costumes as well. These will be available for Blanka, Cody, Falke, and Sakura. These costumes are priced at $3.99 each and will be available for purchase starting on the 27th of November, so if you like what you see (see videos above and below), they might be worth checking out. Previously Capcom had also released Monster Hunter themed costumes for the game, while also bringing some Street Fighter characters to Monster Hunter World. Filed in Gaming. Read more about Capcom, Resident Evil and Street Fighter.